There are moments when a good Bible reader should be somewhat perplexed by the Scriptures. One of them is when Jesus tells his disciples not to talk about him. 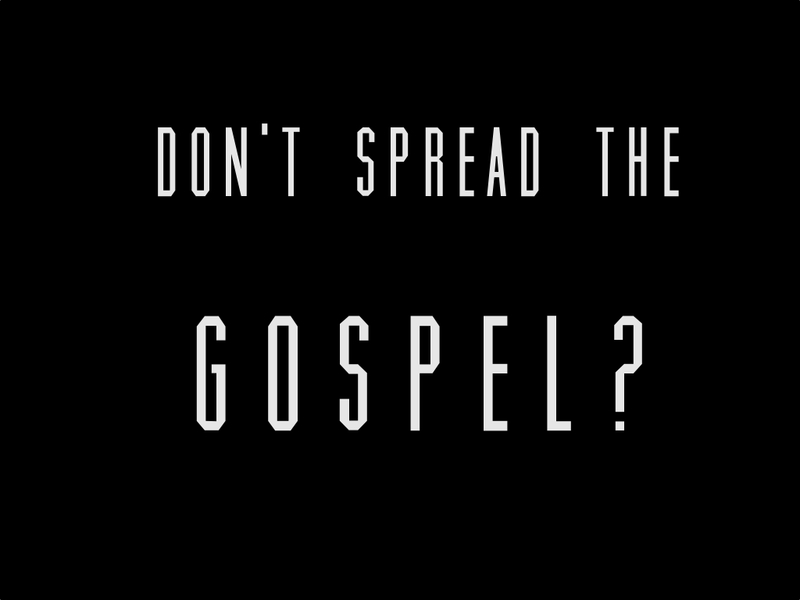 It is interesting that repeatedly in the book of Mark Jesus forbids people to spread his news, but they usually do not listen. Jesus’ fame catches like wildfire throughout the surrounding regions and crowds gather to meet him. It appears that these massive gatherings actually hinder Jesus’ mission. Jesus cleanses a leper in Mark 1:40-45 and “sternly charged him… and said to him see that you say nothing to anyone…” Yet in verse 45, the leper “went out and began to talk freely about it, and to spread the news, so that Jesus could no long openly enter a town, but was out in desolate places, and people were coming to him from every quarter.” It appears that Jesus was unable to enter into towns to preach because he had become so popular. In a strange turn of events, the spreading of his fame was beginning to hinder his purpose in coming. Jesus did come to heal the sick, cast out demons, and preach the good news of the kingdom to the poor. However, Jesus mainly came to earth in order to die for the sins of the world and rise from the dead as the victorious Messiah. If word about the true identity of the Messiah spread too quickly, Jesus may have been hindered from fulfilling his main mission. The people wanted a different type of Messiah than a bloody crucified Messiah. In Mark 8:30 when Peter confessed that Jesus was the Christ, Jesus told the disciples to “tell no one about him.” Following this Jesus told his disciples of the death and resurrection. “And he said this plainly, and Peter took him aside and began to rebuke him.” Even Peter did not understand the mission of Jesus when Jesus told him plainly at Caesarea Philippi. Jesus had to rebuke Peter because Peter opposed Jesus going to the cross. One can only imagine the uproar from the multitudes if Jesus had revealed his true mission to them. By veiling his identity to the masses, Jesus was able to keep on target to Golgotha and be unhindered in his plan. This reasoning for the Messianic secret is confirmed with the story of the demoniac in Mark 5:1-20. After Jesus casts out the Legion of demons from the man, the man begged to travel with Jesus. Despite the urgent pleas of the man, Jesus refused his request and told him to return hope to “tell them how much the Lord has done for you and how he has had mercy on you.” (Mark 5:19) This is in stark contrast to the previous behavior of Jesus. Instead of telling the man to be quiet, Jesus tells him to go proclaim the good news. Why the sudden change in commands for Jesus? Mark 5:20 gives the reader a clue. “And he went away and began to proclaim in the Decapolis how much Jesus had done for him, and everyone marveled.” The man was not from the area and would not be a hindrance to Jesus and his mission. The man was from a region of ten Gentile cities to the East. It would advance, rather than hinder, the cause of Christ for this man to return to his family. The word is out and the rumors are true. Jesus has risen from the dead. He is the Messiah and offers salvation to anyone who believes. Tremble, believe, and rejoice. But whatever you do, don’t keep it a secret. Tell everyone. This is better than McArthur.